On the left, Charlotte Smiser born 1885 the daughter of Merritt Booker Smiser and Elizabeth Wilkes. On the right, her cousin Elizabeth Azile Harrison the daughter of Robert Ferdinand Harrison and Mary Elvira Wilkes. 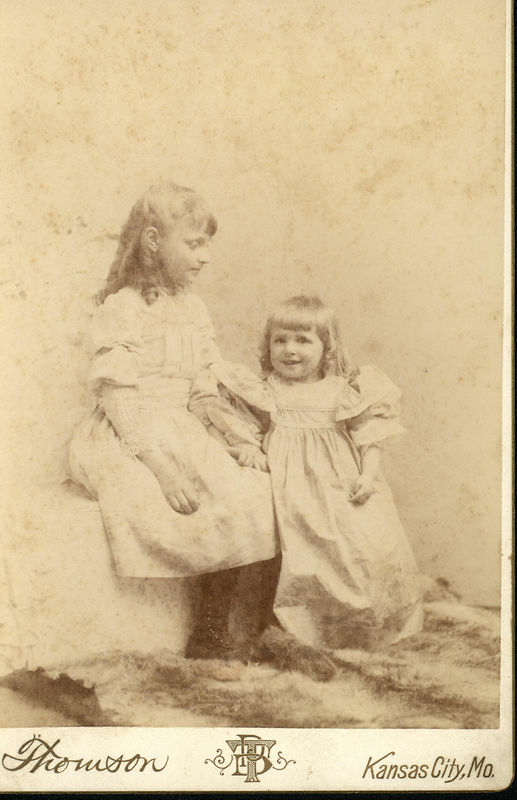 Elizabeth Wilkes and Mary Elvira Wilkes were sisters.